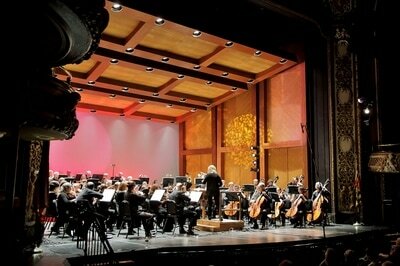 The Maryland Symphony Orchestra is proud to be a resident ensemble of the historic Maryland Theatre. Built in 1915, designed by renowned architect Thomas Lamb, the theatre is the anchor to the Arts & Entertainment district in the city which comprises a new high school for the visual and performing arts, offices of the Washington County Arts Council and numerous new businesses and retail enterprises. The Theatre provides comfortable seating for approximately 1,300 at performances of country artists, comedians, orchestra concerts, children's shows, musicians, recitals, stage shows, including serving as the home of the Maryland Symphony Orchestra. 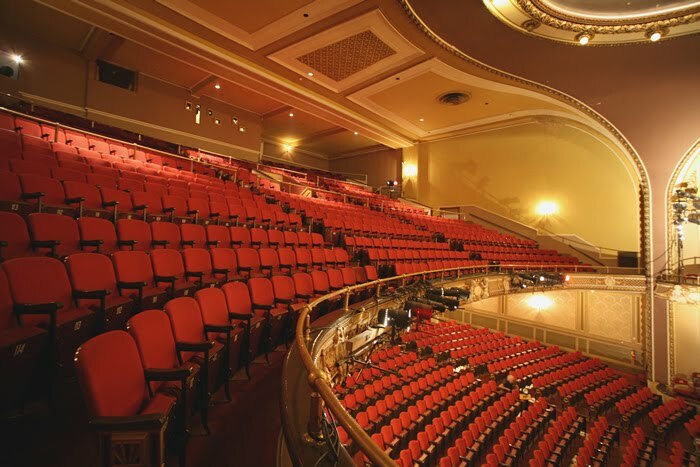 The Maryland Theatre welcomes approximately 120,000 people through her doors annually. The Maryland Theatre was built in 1915, at a cost of about $200,000 by the Potomac Realty Company. Designed by Harry E. Yessler of Hagerstown, who also designed the Colonial Theatre across the street, and renowned Thomas W. Lamb of New York. Mr. Lamb is recognized for his work on The Hippodrome Theatres as well as Madison Square Garden Theatre in NYC along with theatres in England, Egypt, India and South Africa. Theatre Doors opened May 10, 1915 • First sell-out audience was treated to music by a live orchestra in the pit as well as a five-reel feature film, “The Commuters”. General seats for this performance cost 10 cents and Box seats were 35 cents. In June 1928, The Maryland Theatre patrons saw their first talking picture, “The Jazz Singer”. The Maryland Theatre remained primarily a vaudeville house until 1929 when sound came to the movies. The Theatre was partially destroyed by fire in 1974, which destroyed the front of the Theatre where the lobby is now located. The Theatre fell into disrepair until 1976, when a local funeral director, Gerald N. Minnich purchased The Maryland Theatre only one and one half month’s before it was due to be sold to a contractor for its 1,000,000 bricks. The Theatre re-opened in 1978, led by the extraordinary efforts and enthusiasm of local businessman, Jack Garrott, and the dedication of community members who named themselves “Citizens to Save The Maryland Theatre”. 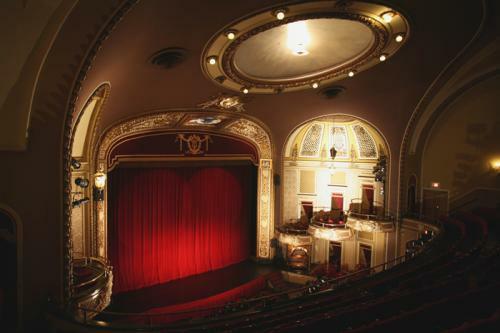 The historic, beautifully restored neoclassical Maryland Theatre had its grand re-opening and has been delighting audiences continually since. ​The interior of the five story structure can be divided into three distinct design elements: the proscenium arch and the stage block house, the orchestra seating and the boxes, and the balcony section plus interior lobby. The overall design of the space exhibits a strong neoclassical flavor, although there are some later Art Deco additions. Each of these spaces are framed by an arch. Large, curved pendentive areas are created between them at their meeting points. The intrados portion of the proscenium arch bears a classical motif of roundel, anthemion, palmette, and arabesque forms. The extrados of the proscenium arch are beaded mouldings, twisted festoon mouldings, and flowered medallion roundel mouldings. The extrados of the other arches are a simpler running plant-form medallion moulding. The orchestra pit was covered when the theatre was converted for motion pictures. Six tiered, curved boxes grace the orchestra seating area; three on the orchestra seating level and three on the balcony level. These box seats are recessed in a large, arched niche. Elaborate grills crown the interior surface of the upper vault. Ovalettes held by putti face each box. The balcony section is basically oval in shape. The lower seating in the balcony exhibits strong Art Deco traits, while the upper seating is similar to the neoclassical style of the orchestra seating. The lobby area is small, yet elegant. The marvelous acoustics in the auditorium are only surpassed by the wonderful ambiance of The Theatre. Please contact us at (301) 797-4000 if you have any questions.